It’s an unfortunate truth that no matter how well planned and executed a Company’s HR Strategy is, there is always a component of unknown risk when it comes to our employees. 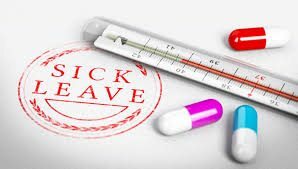 Now that risk can present itself in many ways – claims, tribunal action, resignations – and for the most part, a strong Strategic Plan will ensure a business can weather these changes – but what do we do when employees start taking excessive sick leave? Implement Personal Leave Policies/Procedures – It’s important to note that employees are entitled to use their Personal Leave as required, and putting a policy in place that states exactly what process they should follow to ‘call in’ sick and what evidence they must provide, is a good way of ensuring the business has some control over this process too. Return to work interviews – This concept is a relatively new one in the industry, and it has shown to reduce ‘non genuine’ sick leave considerably. Essentially this process requires that the employee meet with his/her Manager on the day of their return to work from sick leave to explain the reason for their absence and provide a medical certificate. Now don’t misunderstand – employees are entitled to use their Personal Leave and should be able to do so, but this process enables the Employer to have more control over exactly what is happening with the employee so they can help prevent future absences or ongoing patterns/reoccurrences of sickness. These are just two ways to start controlling excessive sick leave and hopefully you find them useful for your business. Remember that not all approaches will work for all business types, so if you need some guidance in managing excessive Personal Leave, you can speak to one of our HR Managers at HR On-Demand by calling 1300 55 99 62.